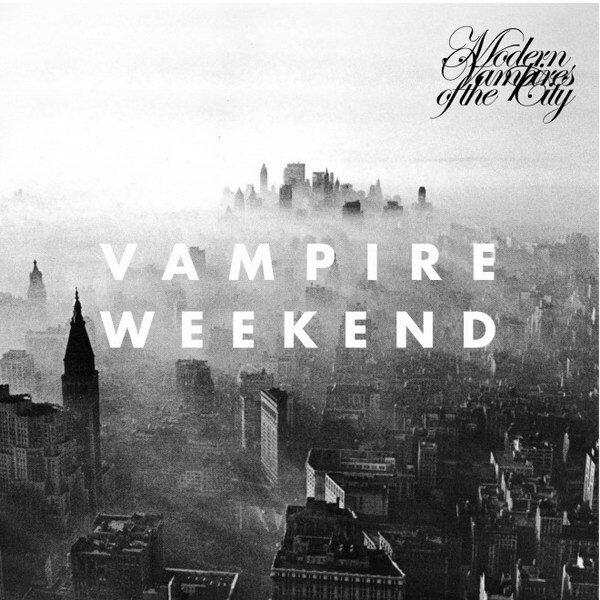 Modern Vampires of the City font here refers to the font used on the cover artwork of Modern Vampires of the City, which is the third album by American indie rock band Vampire Weekend. The font used for the band name is set in Futura Bold designed by Paul Renner and the font used for the album title is probably set in ITC Edwardian Script Alt Bold designed by Edward Benguiat. Both are available as commercial fonts and details about them can be found here and here respectively.